I don’t know if this is you or not, but let’s not procrastinate in 2019. If God gave you something to do, an idea, a dream, etc……don’t just sit around praying that things happen. Get up and make it happen! Your alarm clock….remember…..that’s an OPPORTUNITY CLOCK! We don’t have time to play in 2019. We got work to do! 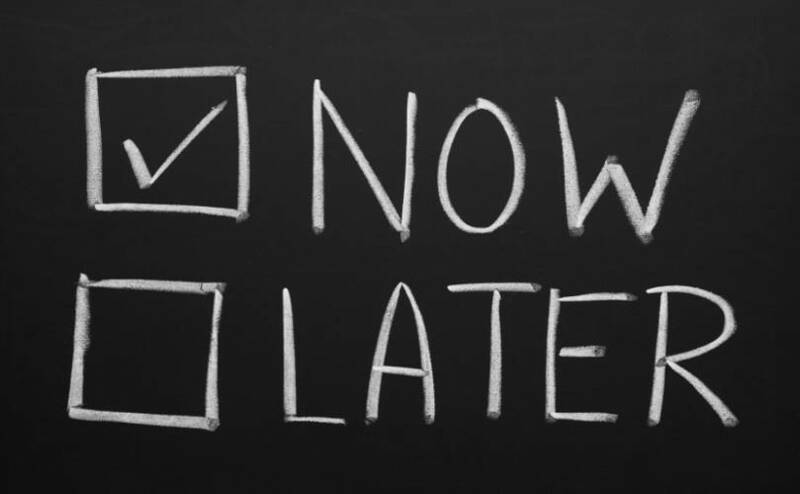 Procrastination is when you “put off or delay something that needs your immediate attention”. What needs your immediate attention in this 2019 year? It could be something simple. Think about it. The way you stop procrastinating in 2019…hum….let’s see…….. I’m going to need you to set deadlines. Yep. Give yourself a time period to do certain things. I told you before. I sit down and map out on my yearly calendar what I’m doing and when I’m doing it. In other words, I give myself deadlines to make things happen. If you don’t do this in 2019, many dreams might get left behind….again! Let’s not have a repeat year of procrastinating. Set deadlines. Put pressure on yourself to get things done by adding timelines to it. You got this. This is a year of great expectancy, but you got to get up and make some things happen! Procrastination is NOT welcome! Let’s go!! !